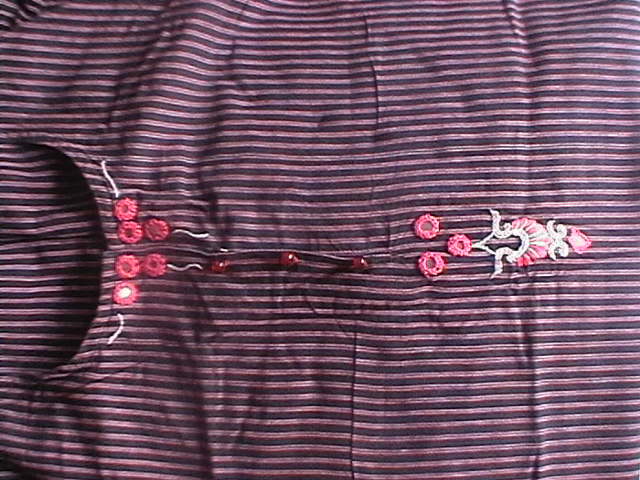 ﻿﻿This brown tunic is striped with beige and red . this handloom cotton is bought readymade quiet while ago.I wore a beige salwar for this.After noticing that it did not have any interesting element to make it exclusive , I added mirrors and a motif to it. 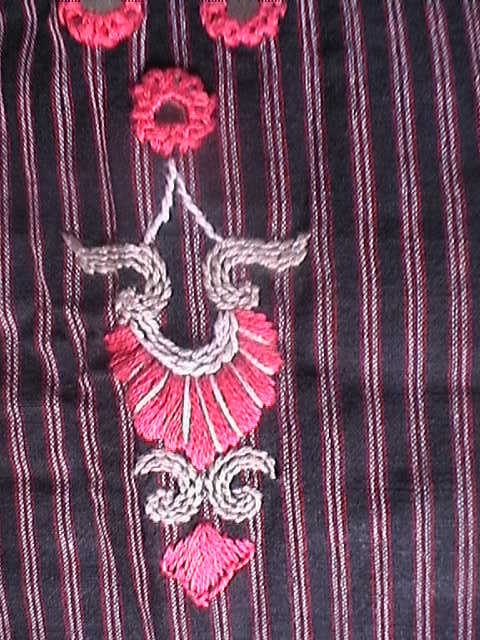 This is one of the example where, the colour dominates and attracts more than the embroidery itself. Sometimes this aspect helps when, Iam stuck for the right pattern Then ,I let the colours choose it for me.